Get even more flexibility from the Hand-Held Camera Microscopes with these useful accessories. Many items are exclusive to STR including the stage set and the backlight lamp with LightBlocker. 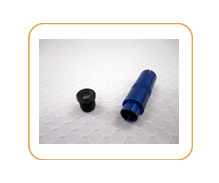 These items enhance the usability and functionality of the scopes, allowing broader uses. Heavy-duty metal base with 18" flexible gooseneck arm plus 6" of three extension rods. A universal swivel mount positions camera in any orientation for optimal sample viewing or use as a Document Camera or Presentation Camera. 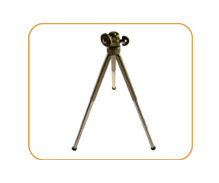 Click here for a picture of the Proscope camera used with the stand. Click here for a picture of the Dlite camera used with the stand. Heavy base & 14" gooseneck with a unversal swivel mount positions camera in any orientation for optimal sample viewing or use as a Document Camera or Presentation Camera. 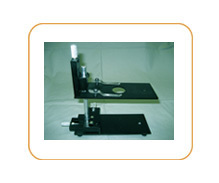 Provides vertical movement plus a universal swivel for viewing specimens. Precision X-Y-Z motion allows easy viewing of prepared slides. Uses 4 AAA batteries (included) or USB cable for power. LED illumination and stage evenly lights slides. Soft-padded, nylon carrying case for safe storage and portability of scopes. Zip open top, handle and storage strap. 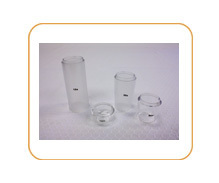 Extra storage compartments for more accessories, lenses and samples. 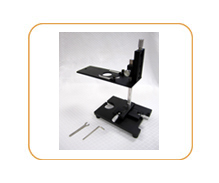 The XYZ allows movement in 3 directions for easier focusing and movement of specimens with the Dlite. Requires a lamp.